A fascinating story for history buffs and fans of true-life spy stories. Story blurb: SNOW is the codename assigned to Arthur Owens, one of the most remarkable British spies of the Second World War. This ‘typical Welsh underfed type’ became the first of the great double-cross agents who were to play a major part in Britain’s victory over the Germans. When the stakes could not have been higher, MI5 sought to build a double-cross system based on the shifting loyalties of a duplicitous, philandering and vain anti-hero who was boastful and brave, reckless and calculating, ruthless and mercenary…but patriotic. Or was he? Based on recently declassified files and meticulous research, Snow reveals for the first time the truth about an extraordinary man. About the Authors: Nigel West is the pen name of Rupert Allason, a military historian and author specialising in intelligence and security issues. He is European Editor of the International Journal of Intelligence and Counter-Intelligence. He was awarded the first Lifetime Literature Achievement Award of the US Association of Former Intelligence Officers and was voted ‘the experts’ expert’ by a panel of spy writers selected by The Observer. Madoc Roberts has worked in television for thirty years. He is managing director of Barkingmad TV and as a producer and director has made history programmes for Channel 4, Channel 5, Discovery and the History Channel. As an editor he has worked on feature films and made award-winning programmes for all the major networks including Timewatch for BBC 2 and Time Team for Channel 4. He was also the main editor on the long-running BBC 2 series Private Life of a Masterpiece. In the 1970s he was lead singer with The Tunnelrunners. He now lives in Cardiff with his wife, the artist Susan Roberts. I have long maintained that the most interesting history of any society lies not with its kings and politicians, but with ordinary people doing extraordinary things. Okay, maybe Arthur Owens wasn’t your average person, but his exploits certainly prove the point. 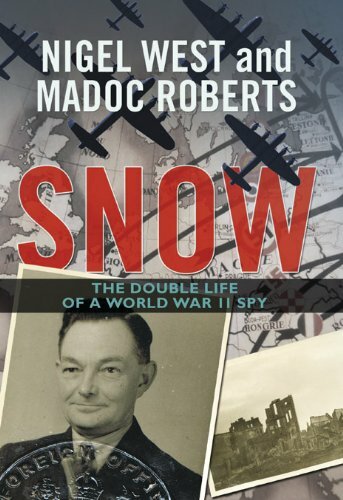 Fortunately for us, Nigel West and Madoc Roberts have brought this fascinating story to light in a recently released, non-fiction tale of espionage in WWII; Snow: the double life of a world war II spy [Biteback, October 2011]. To start, Arthur Owens was a Welsh battery salesman who was out to sell his invention that no one in Britain seemed to be interested in. That is when he decided to go farther a-field to offer it to the Germans in 1935. He therefore walked into the German embassy a salesman and walked out a spy. 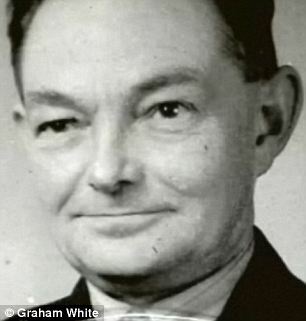 Inevitably in the world of espionage and counter-espionage Mi5 eventually learned of his activity, and Owens subsequently became the first double agent on record. One of the key areas Owens able to serve British intelligence was to identify German agents, who were then given the offer of working with Mi5 or facing a firing squad. Needless to say very few refused this ‘charming’ offer, and so Britain was kept quite well informed about Hitler’s activities leading up to the war in 1942. The end of his spying activity—but not his ballsy luck and attitude—came in 1941 when the Nazis accused him of being a double agent, but mysteriously let him return to England. Thereby he was interned in Dartmoor prison for the remainder of the war. Following the war, fearing retribution from both sides, he exiled himself to Canada and then to Ireland. In the meantime, however, he threatened the British government he would go public with his story and was paid-off an undisclosed amount of money. That’s what I like about this character; traitor or patriot, Owens had balls! A couple of interesting side notes to this story, as well. Apparently, Owens’ son had no idea of his father’s activities until his mother told him, nor was he aware of his half-sister by Owens’ first wife. Indeed, Patricia Owens was a Hollywood movie star appearing opposite Marlon Brando and James Mason. A fascinating story for history buffs and fans of true-life spy adventures. Five bees. Happy New Year to all, and thanks for dropping by! Hi Gerry and a Happy New Year. Thank you so much for the good review of Snow. Madoc.